With that, there has been some re organisation in B4 to make doing our morning chores easier. 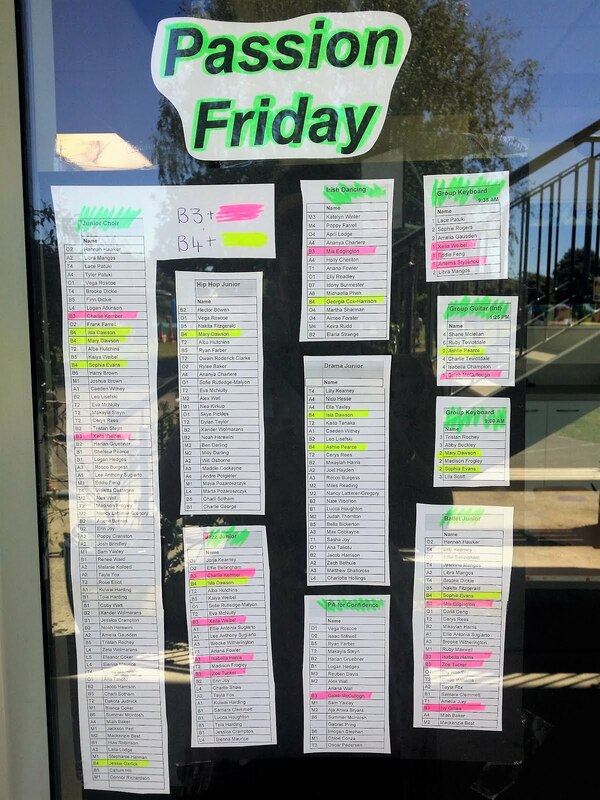 Children will pin their picture to the wall by the door, take out their book bag and yellow homelink book all before they have crossed the first three metres 👍 Hats, will be hung on a named peg under the whiteboard. All students need a hat at school at all times as sometimes we spend a bit of time outside as a class, not just at break times. Hats can be left at school, if this suits you best. 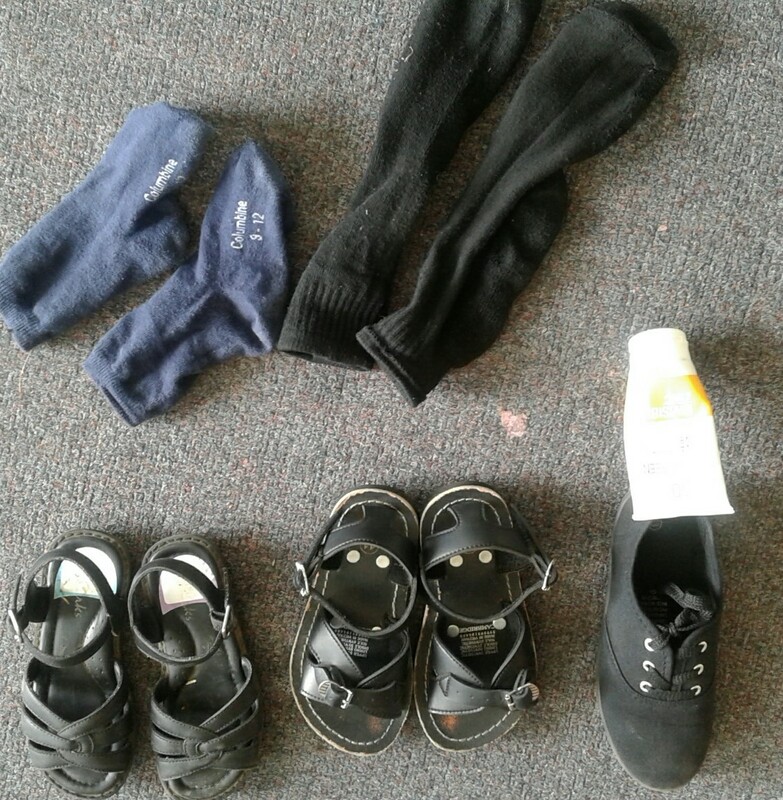 Here is a photo of our lost property. The items are in a box by the door, for collection. Passion Fridays begin this Friday! This will be very exciting for the students involved. 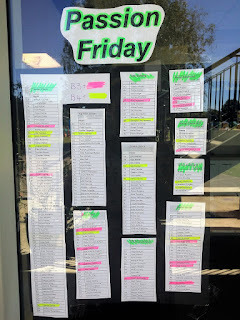 Baylee and I have pasted the lists on our window, with the B4 and 3 students' names highlighted. This week's learning will include further practice on the th sound and highlight words with -ook in them, through our weekly big book. Our brave mouse makes an appearance in the sub-plot this week! That's great excuse to keep singing our Brave Mouse song. I hope you had a good rendition of this while reading the poem folder at the weekend! Check out the brave mice artwork on our wall, if you can make it into class. This week's song/poem is linked to our Inquiry. We are looking outside B4 to our school community. We will be learning about what people do in our school and we will be using position words to describe their location and how to find these important people from B4.